It’s no secret that coding and computer science is essential knowledge for the current generation of learners. That said, integrating computer science into the curriculum can feel overwhelming, especially for veteran teachers. Thankfully, Code.org has developed a fantastic set of resources that make coding and computer science accessible to every educator and every student. The Hour of Code is Code.org’s most well known program and resource. Anyone, anywhere can sign up to lead an hour of code event. Leaders then choose from over 200 one-hour tutorials and follow the step-by-step video instructions. Tutorials appeal to all ages and ability levels and range from Minecraft and Frozen themed activities for younger students to Text Compression and Simple Encryption for older students and adults. If your school or classroom is brand new to computer science and coding the hour of code is a perfect entry point and is sure to get the entire community excited and involved. “Code Studio” is Code.org’s online learning portal. It offers a variety of lessons including an introduction for 4-7 year old pre-readers and a lab where students and teachers can create their own apps. There are “express” courses for every age level that provide a quick overview for teachers and students as well as more in depth interest based options. All of the Code Studio classes are absolutely free, but for teachers and students who really want to go above and beyond, Code.org offers links to recommended online courses at top universities. If you’re more of an in person learner, Code.org also offers a variety of face-to-face PD options. Courses range from 1-5 days and are offered for low to no cost. Attendees can see first hand how to work computer science into their curriculum and will even have time to brainstorm and collaborate with like-minded educators. Computer Science Education Week has a participation kit with handouts, lesson plans and tutorials. This week is National Computer Science week, making it the perfect time to take the leap into computer science education. 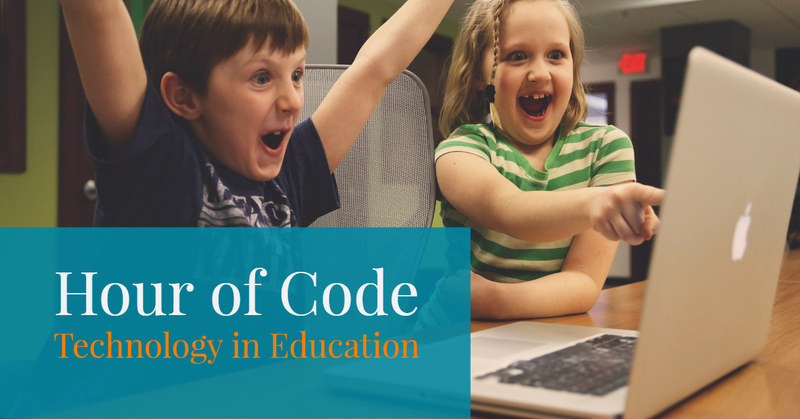 Code.org’s fantastic resources truly make it accessible to every single educator. Do your self a favor and check them out. Your students will thank you.